The build up of grease in your kitchen hood systems ductwork is one of the leading causes of total loss fires. Grease exhaust cleaning helps to remove the build up of grease and should be done twice per year by a professional cleaning company, according to UL300. During the process, we offer exhaust hood filters that are UL300 compliant and we replace grease hood filters that are not compliant with UL 300 standards. 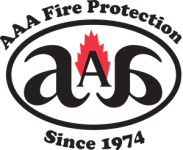 Because we understand UL 300 and the California fire code we’re able to work efficiently and offer quality services at affordable prices. For a free quote or for questions please give us a call at (800) 543-5556.